Q Corporation provides a wide range of chilling, temperature control (heat/cool), reservoir pump tank packages for the testing and process industries. Used as a stand alone system or integrated into an existing conditioning system for added or “boost” capacity. Ideal for applications involving variable thermal loading conditions. 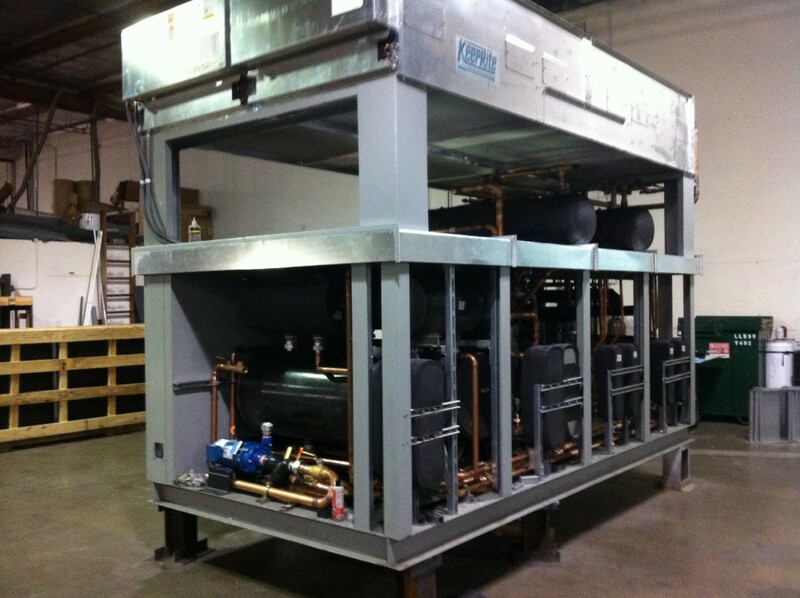 Refrigeration packages include Standard DX, compound and cascade design. Robust multiple screw (or reciprocating) refrigeration compressor rack for increased turn-down, modulation and energy economy. 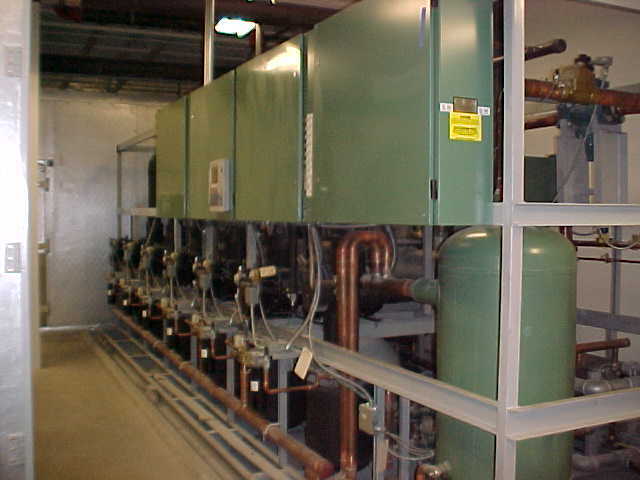 Refrigerant systems include R-22, R-404A, R-410A, Suva – 95. Transfer fluids include water, glycol, Syltherm & Dow Therm Solutions. 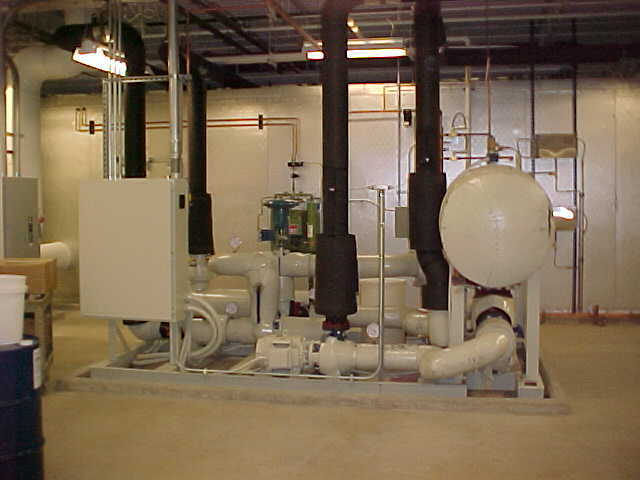 Multiple performance packages available contingent on low / high end temperature requirements, temperature transition rates and capacity requirements. Open or enclosed skid frame packages available. For enclosed systems, optional wall mounted sound attenuation panels available. Control options include remote sensor placement to monitor key process parameters at critical location. 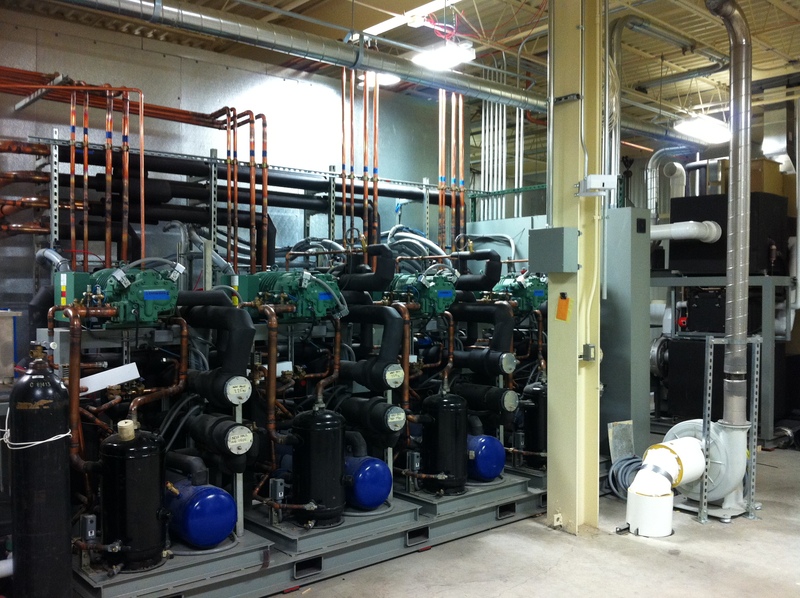 Cascade control architecture enables placement of chillers in distant location. Safety switches include: low flow, low temperature, high temperature, low water pressure, etc. Wide range of chilling, temperature control (heat/cool), reservoir pump, tank equipment and systems for your specific process requirements.